Speaker of the House of Representatives, Yakubu Dogara has expressed optimism that the 2017 budget would lead the country out of its current economic recession. 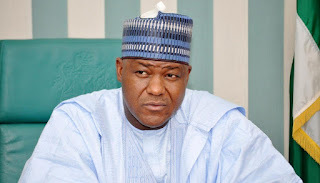 Dogara, who said this on Tuesday in his address welcoming members from Christmas holidays also assured that the House will implement reforms to the budget process to make it more transparent and devoid of controversy. The Speaker also urged his colleagues to consider the task of passage of the appropriation bill as the most critical and urgent. He said, "the 2017 budget remains the major tool to rejig Nigeria's economy and pull it out of recession. "2017 is perhaps the year to pass critical bills before active politicking starts. Critical bills designed to stimulate and streamline our economy such as the Public Procurement Act amendment, Federal Competition Bill, Petroleum Industry bill, etc will receive expeditious consideration. Important Bills on Constitution alteration and Amendment to the Electoral Act also deserve expeditious consideration and passage". Dogara stressed that the current economic challenges being faced by Nigerians calls for urgent need for economic growth and stimulation to be the central focus of their legislative work. "We must brace up and work assiduously and conscientiously to give Nigerians a budget that will not only lift us out of recession but kick start the needed expeditious journey into Nigeria's prosperity. We pledge to reform the budget process. " "To this end therefore, we would ensure that the procedure and process of consideration and passage of the 2017 Budget is transparent, inclusive and professionally handled. The details of the Budget should be debated and passed in Plenary to avoid those needless pitfalls that normally characterize the budget process," he said.